Deputy editor Sandi Keane interviewed Wikileaks founder Julian Assange yesterday, and we published an excerpt earlier today. The following is the full exclusive interview, where he discusses how he might get back to Australia and the prospects of the WikiLeaks Party. IN AN EXCLUSIVE INTERVIEW, Julian Assange said that if Victorians vote him into the Senate this Saturday, thanks to proposed changes in the U.K.’s extradition laws, we may actually see the fighter for justice, transparency and independent media take his place on the red leather benches come July 2014. This new disclosure from the man holed up in the Ecuadorian Embassy stems from the planned scrapping of the U.K.’s extradition treaty in relation to the European Arrest Warrant (EAW). The modifications, due to come into effect in between January and June 2014, will prevent the use of extradition for purposes other than prosecution. Remember, Julian Assange has not been formally charged with any offence. The EAW was simply for questioning. Under the proposed new rules, according to Assange, Swedish prosecutors would have to interview him on UK soil, not in Sweden. There being no case to answer, as he insists, he would be free to leave the U.K.
“If I’m lucky enough to be elected, I’m not due to take my seat until July 2014. The Constitution gives me at least two months’ grace after that. So the timing may all come together,” he said. Of more immediate importance, with the Federal election being held tomorrow, people want to know, if Julian Assange, or his fellow Victorian Senate candidate Binoy Kampmark, is elected to the Senate, would the WikiLeaks Party bow to Tony Abbott’s wishes to repeal the carbon tax? “The Daily Telegraph and Courier Mail bias is deliberately orchestrated,” she said. According to the WikiLeaks Party leader, Australian media is in “parlous state” where seven out of ten national newspapers are owned by just one corporation, News Ltd.
“Australia has 98% print media in hands of just three large corporation. Working to balance this are the other new media groups — independents like Crikey, New Matilda, Independent Australia, WikiLeaks and overseas publications. The U.S. has seen an explosion of high quality, not-for-profit media organisations such as the award winning multi-media site, Democracy Now, with Amy Goodman and Pro Publica. Funded entirely through contributions from listeners, viewers and foundations with no advertisers, corporate underwriting or government funding they are truly independent. Independent news sites like Independent Australia and New Matilda have lobbied for such a tax scheme, where donations to genuine not for profit publications become tax deductible for donors — like charities. But, according to Bill Birnbauer from the Public Interest Journalism Foundation, its submission to the Finkelstein Inquiry was put in the too hard basket. The issue of truly independent media in Australia raises the question of protections for whistleblowers and shield laws. In the United States, most of the states have shield laws. But not in Australia. 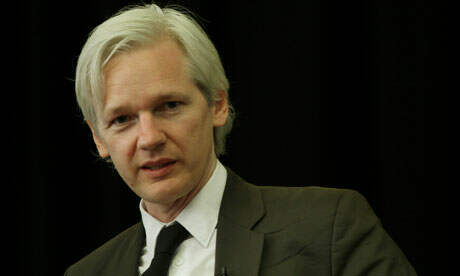 Julian Assange declared the situation in Australia both practically and legally as one of the worst in the world. “Australian protection for the rights of sources is non-existent. There are a number of ongoing actions right now to force journalist to reveal their sources. The Age amongst them. The WikiLeaks Party has nailed its colours to the mast. 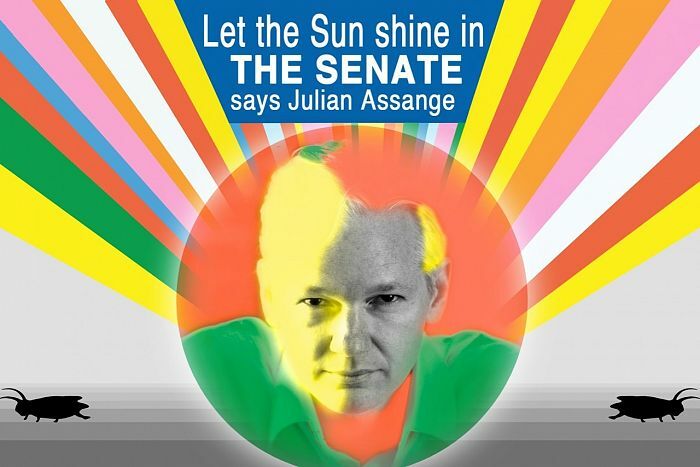 “Transparency, Accountability and Justice” is not just a Mum and apple pie slogan — it’s the way it intends to operate in the Senate, according to Assange. With distrust of politicians and apathy about transparency at an all time low on the heels of the outcry over the Victorian state government’s refusal to disclose its East-West Link business case,IA asked what distinguishes the WikiLeaks Party from the former Australian Democrats. Would we see Assange’s alter ego, the big guns of the whistleblower website rolled in to expose corruption? We asked him whether all his people were as fearless as him. In the event WikiLeaks snares several Senate seats, would members vote in a bloc or could they exercise their own conscience? Recent WikiLeaks Party meeting in Melbourne. In a recent two-part report on the cartelization of Australia’s political parties explored by this writer, some academics and commentators felt our politicians no longer represented our interests but are held captive by powerful factions, unions, lobbyists and vested interests — in some cases powerful foreign interests such as the United States. IA asked whether Mr Assange thought our two major parties had simply become political cartels. Our discussion turned to the internal ructions in the fledgling party. Like the Greens, WikiLeaks is powered from the bottom up. As a new party, its first directors were to hold office only until the AGM following the federal election. At this time, the party members will nominate and elect the new National Council. Assange emphasized that the Council is not an executive body but a policy-making body. “The internal tensions were all quite predictable. Since July, our rapid growth saw over 2,000 members joining. All have different views about the party’s trajectory on what they think is important as well as their personal relationships. Some think the party should be a vehicle for themselves or something broader. Those complexities are inevitable. It would be impossible to imagine a new party without teething problems. 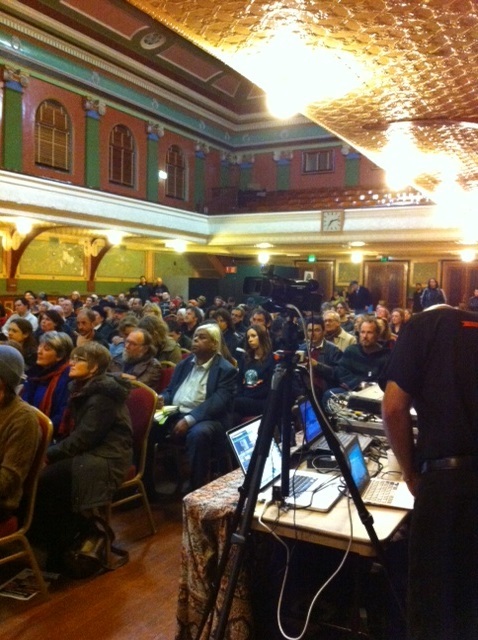 IA asked how confident Mr Assange was of being elected. “We only started in July. According to the last opinion poll, we are the fourth most popular party in Australia — and the most popular of all the new parties. But nonetheless, in this election it will come down to the primary votes and preference flows from other parties. Gerry Georgatos may have a chance In WA, same with Kellie Tranter and me/Binoy Kampmark in Victoria. Julian Assange’s bid to keep Australia’s “political bastards” honest is arguably a logical segue from holding “global “bastards” to account and a return to his geopolitical roots. If successful, where better to shine some light than from Australia’s House of Review? Published on Independent Australia 6 September 2013 here.